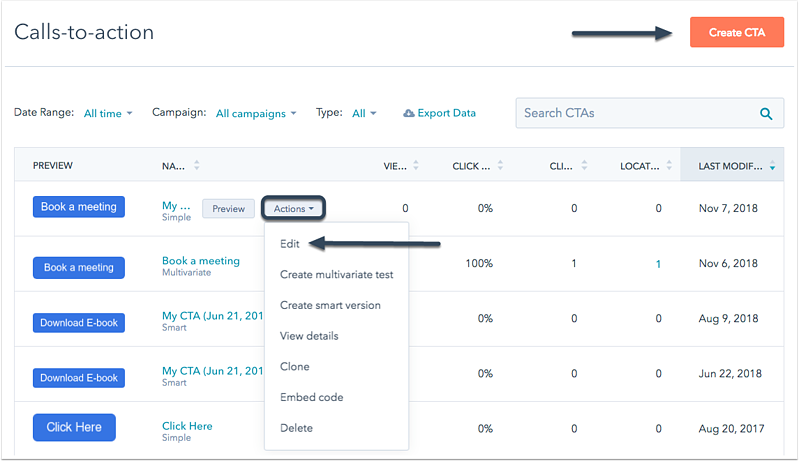 Use HubSpot’s advanced options for CTAs to create highly customized CTA buttons that fit perfectly with your website theme. Please note: custom styles can only be applied to custom buttons and not image buttons. In your HubSpot account, navigate to Marketing > Lead Capture > CTAs. Hover over a CTA and click the Actions dropdown menu, then select Edit. Or, in the upper right, click Create CTA. In the slide-in panel, click Advanced options. If you want to add a custom class to your CTA, the Custom CSS Class field supports custom class inputs. This is useful when multiple CTAs across your website pages need to share a similar set of design characteristics, such as font families, sizing, or even padding and margins. If you use a custom CSS class, ensure that the class is included and styled in the CSS stylesheet applied as the main style for your HubSpot pages. 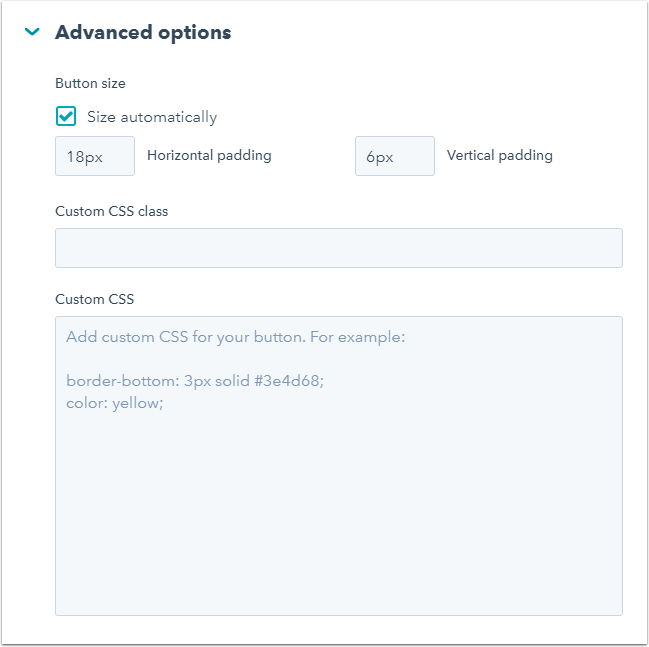 If you only want the custom styles to apply to the CTA you are editing, in the Custom CSS field, you can apply inline styling specific to that CTA. If you have an element of the CTA you would like to change, add a new style declaration here before saving your changes. At the bottom right, click Next > to finish creating or editing your CTA.